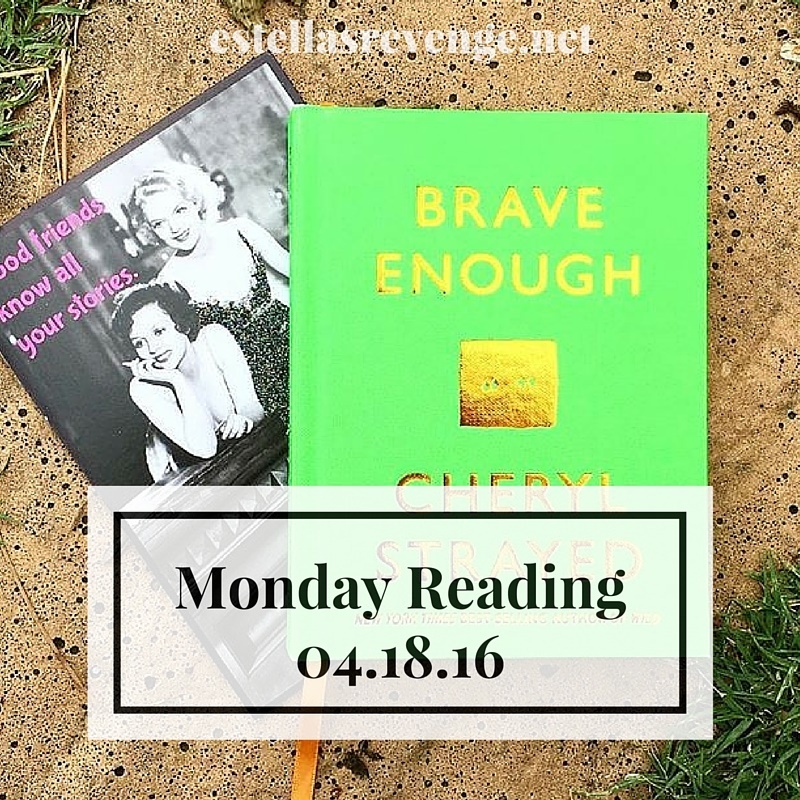 Between Readathon planning and birthday prep for Greyson and my mom, it was a week short of reading. However, I did manage to cram in a bit here and there. Brave Enough by Cheryl Strayed arrived in the mail from the wonderful, fantastic Katie from Can't Get There From Here! She sent me this sassy card, and Strayed's quotes are a great inspiration. I have soooo many dog-eared pages. Yes, I do that! 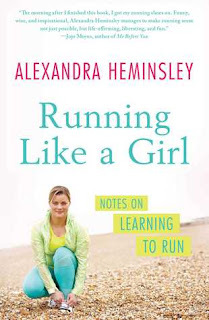 I also downloaded Running Like a Girl: Notes on Learning to Run by Alexandra Heminsley. This one came at Kerry's recommendation when I put out the call on Twitter. I stayed up far too late last night reading it, and laughing out loud, and waking David up. So funny, so true. I'm also partway through Father's Day, the new novel from Simon Van Booy. I'm not too far in, but this novel departs from Van Booy's normal style a bit. I'm not sure how I feel about it, but I'll probably finish it up for Readathon if I'm not done by Saturday. I just finished Be Frank With Me, which was SO good!! Now I'm listening to Hidden Bodies. Not sure how I feel about that one. Also reading A Land More Kind Than Home by Wiley Cash. Outstanding! Have a great week, Andi. I need to read A Land More Kind Than Home. Love Wiley Cash. Nancy, you really do! I tried it on audio a year or so ago and it just didn't click. I pulled the ARC off my shelf the other day and was instantly hooked. He's such a great writer!! My review of Father's Day was so tepid that I wrote to apologize to Simon. He was a complete gentleman about it, of course. I've just finished Journey to Munich, the latest Maisie Dobbs book. I quickly realized that it was not a good idea to read out of order (and that it might have been best if she'd stopped the seires 2 books ago) but I still enjoyed it, in spite of its flaws and the fact that it didn't stand alone all that well. 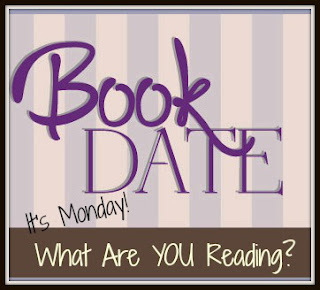 Now reading Euphoria by Lily King and loving it. Hi Andi! Ah, Dewey's Read-a-thon. I think that was the first one I ever did...er, tried to do. Right now, I'm reading Silence of the Lamps. Oh, I love a book that makes me laugh or cry! 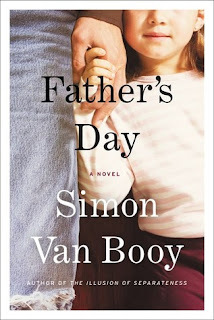 I've got Father's Day on my TBR pile and am looking forward to it. 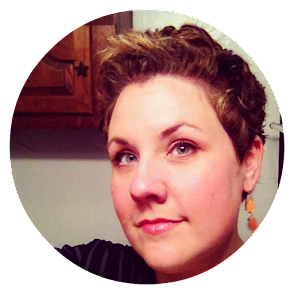 The Strayed book sounds fab - I think I might need to get a copy :) Talk about some good reads! 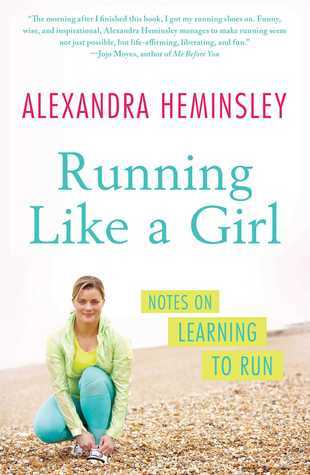 Running like a girl sounds like a really fun read, I like ones like that - like a memoir really. Love seeing inside other's thoughts and feelings. I would also recommend Run Like a Mother for a beginning runner or a mother runner. Their Another Mother Runner podcast is also terrific and most of my first summer of running was spent working my way through the back episodes. You know, I think I have "Running Like a Girl" somewhere...back from when I tried to be a runner. Maybe I should dig it out and see if it will inspire me! I have Brave Enough on my TBR list and I also DoD ear pages. Some books I use the post it tabs. See you at the book-a-thon--the prep posts have been super! Good ones, Andi! On the recommendation of Sarah (Sarah's Book Shelves) I've just started The Throwback Special (we share a love of football); I'm also finishing up The Rules of "Normal" Eating (so good). I'm looking forward to Saturday; not only do I have a goal race that morning, but also I know I can go home after and lay around and read...because READATHON!